and why should Anna feel guilty about what she is eating? We await confirmation that Hamilton player, Blair Fisher, has achieved the highest ranking of Gold Grand Master at the tender (although that’s not the first word I would use to describe Blair) age of 30 … Is he the youngest GGM ever? Certainly, the tallest and potentially the loudest GGM! Nominations, please, for the “loudest” GGM. I feel there may be several nominations for a variety of candidates! However, the transfer of the Australian Masterpoints from the Gold Coast Congress needs to be actioned for this to become official. Whenever it happens, we agree that it is a monumental and impressive feat to rack up the requisite 4000 Masterpoints (including 2500 A points). Well done Blair, we not only look up to you, but we salute you as well! his teammates, Anthony Ker, George Masters and Alan Grant. We are sure you can guess which is Blair! Following this Rotorua tournament, the Waikato Bays organised a successful seminar for existing directors and getting best use of NZ’s nicest director, Alan Joseph, who was in town after directing the Teams the day before. 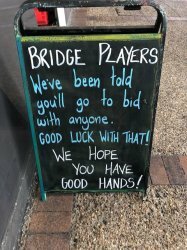 We are hoping NZ Bridge will hold Tournament Director exams later in the year, as the region needs to increase its pool of TD’s in the region. Watch this space! I’ve been doing this job for a few years now … and I’m starting to realise that there are shortcuts to producing these bi-monthly snippets. You see, all I need to do is go into my archives to find we often have the same victors at the same events each year. So just cut and paste! It is like some partnerships seem to have happy places … or if some of these time-lapse photos are anything to go by … lucky shirts also! On the left: 2017 Kelly Peirse Champions … the Jones Team who won 5 out of their 6 matches to end up with a very comfortable win in Rotorua, their last match being a slight loss. 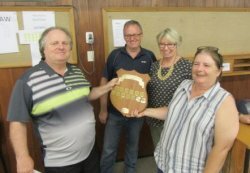 2019 Kelly Peirse Champions: The Jones Team from Left to right: Patrick Carter, Jenny Millington, Julie Atkinson and Barry Jones who won 5 out of their 6 matches to end up with a very comfortable win in Rotorua. Their last match being a slight loss. 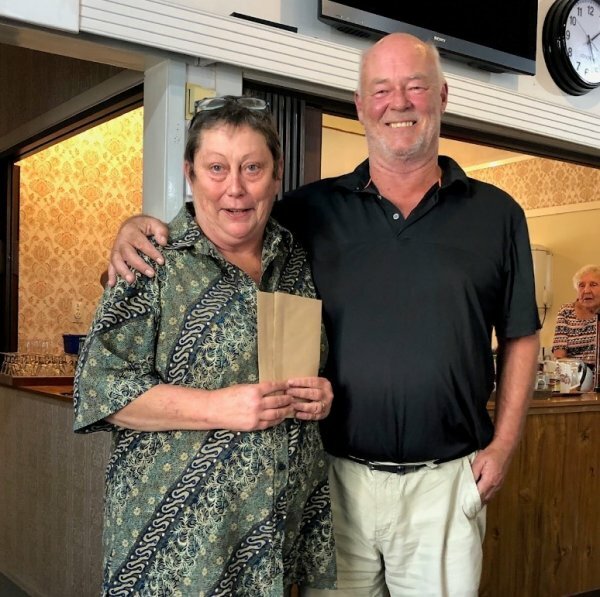 The Intermediate and Junior leagues kicked off with Thames pair Carol Crowfoot and Sabrina Peters taking first blood at the Taupo Intermediate in March. 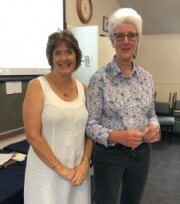 Meanwhile in Cambridge Waitomo’s Bernadette Barry Addy and Hester Bolitho took the winning envelope in Cambridge last weekend. 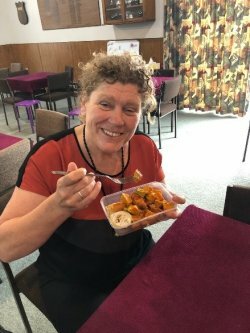 This is perhaps a watershed year for Waitomo bridge club who are embarking on a major recruitment drive with the help of our Regional Bridge Mate, Eunice Eccles. With just 30 members it is good to see existing members keen and playing in tournaments and making a commitment to drive up membership. We look forward to hearing from the club about their progress over the next few months. 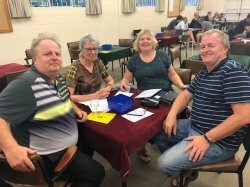 Kathy Yule dragged husband Ken out for a day of bridge at Te Aroha on Sunday for the second heat of the Waikato Area Pairs. Ken doesn’t usually get out of bed for anything less than a 10A nowadays! 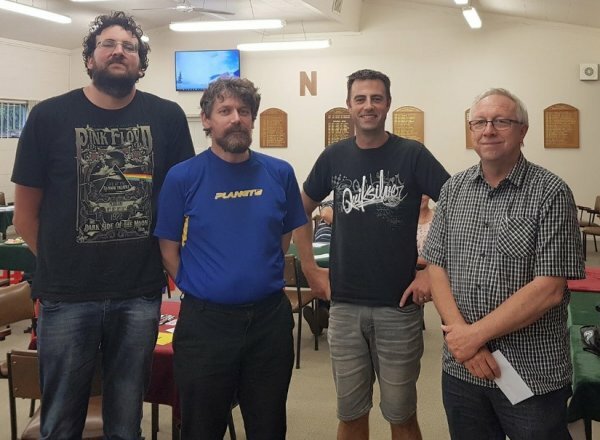 However, the day proved fruitful for them: only $10 bucks to play 54 boards on a rainy day AND they came away with two session wins to take out the heat ahead of 36 pairs. The tradition is if you win the heat at the WAP you must provide some commentary on some interesting hands from the day. 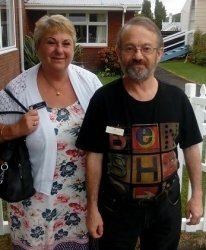 Well done for Kathy and Ken for producing the following analysis on a couple of boards for our enjoyment! "At our table South opened 1NT (12-14) and North responded 3NT giving no thought to a possible slam. Kathy doubled which in our system asks for a lead. No-one chose to ask what the double meant. Ken (West), who was in no position to do as requested, decided to bid 4 over which North jumped to 5 and South bid 5NT because they didn’t like their diamonds! Interestingly, the 8 pairs who played 4 or 5 all only made 11 tricks including the two pairs who lead the K. Yet both pairs in 6 who received the K lead made their contracts. In both cases, partner ruffed the K lead even though one pair admitted that the lead of a king promises the ace. This highlights the pressure created by opponents being in slam. East of course should have led the ace to protect partner from themselves. A good lesson on how to make it easy for partner. (Even if you lead the king for count. Don't! )The king might well promise the ace but the lead of the ace promises the ace too. 11 pairs failed to recognise the potential of the North hand while another pair had an obvious misunderstanding to remain in 4 . 1 was "better minor" .4 was RKCB in clubs with 4 showing 2 Key cards and no Q. Your partner (North) leads J.
Declarer plays a low heart from dummy. You win K and declarer plays 8. Obviously, declarer started with Q8 and partner has led from J102 which means that declarer has 2 pitches available in the suit. Declarer is known to have 6 or more clubs and a cue in diamonds so if declarer has one or two spades it is imperative to cash A before they disappear on the hearts. The only danger to this line is if declarer is in fact 0247 without the K. So the odds heavily favour cashing A at trick two. Unfortunately for Ken, his defender did not cash A so that Ken, West, who was 0247 was one down. Very unlucky indeed though our bidding was a little too aggressive, so probably a deserved result. Well done, Ian Bond, for withholding that ace." Obviously for just $10 entry, punters have to bring their own lunch. And Jena Robinson from Thames was baffled by the disappearance of hers at lunchtime. I’m not sure if it was hunger or irritation but whatever it was, Jena and partner Alex Barshai had a blinder of an afternoon and stormed into second place. The mystery of the missing lunch was solved after everybody had departed when a club member who returned to help with afternoon tea mentioned they had cleared out the fridge of dubious looking (and presumably past its best before) foodstuff into the pig bin (we didn’t check in there!)." Anna .... and a wish for you all! There were some other major tournaments over the past two months … the North Island 20A teams and Gold Coast Congress spring to mind … It seems a long time ago and has been covered in other reports but can confirm that the big names conquered (Ware/Cornell/Bach and Tislevoll) at Tauranga and we all had a good time at the Gold Coast!